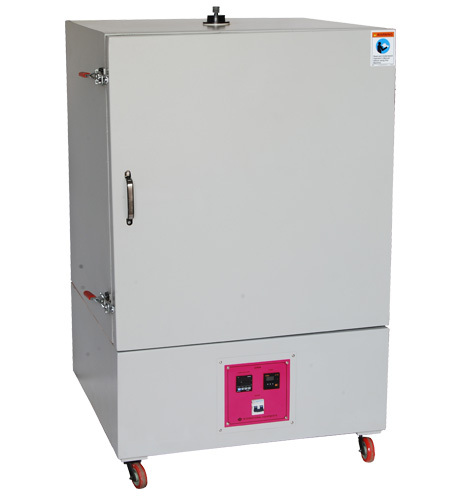 “Hot Air Oven” manufactured by International Equipments is a triple walled chamber with accurate digital PID controller having temperature range up to 250 degree Centigrade and resolution of 0.1 degree centigrade. Two to three number of trays are offered inside that are easily removable. These ovens have internal air flow compartment in order to have proper circulation even when the oven is full with material inside. Normally Ovens are offered with different sizes from 1 cubic feet to 2 cubic feet as per customary need. Ovens are used in varied applications such as for demoisturization of granules or materials, Conditioning of specimen before they are tested for Izod/Charpy or Tensile test. In case of Heat reversion test such ovens are used for keeping PVC, HDPE, PPR pipe samples inside for long term test.